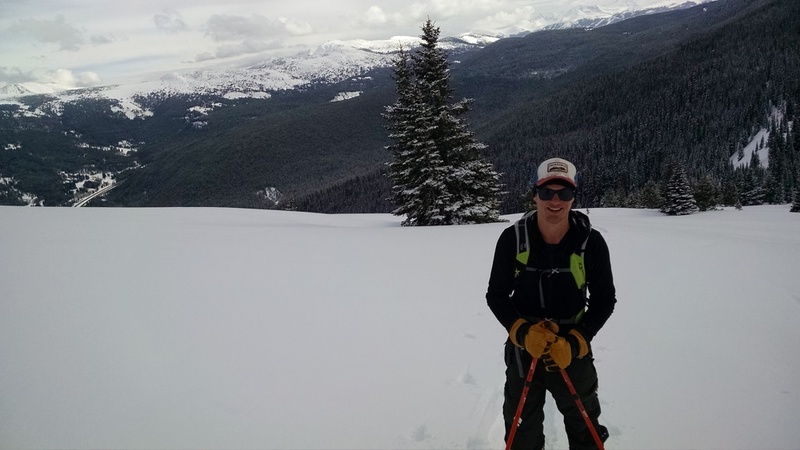 the commando run is a classic ski tour that connects vail pass and vail. the route climbs from vail pass to a nearly continuous ridge line on the southwest side of i-70. the ridge shoots north for 10-ish miles climbing up above treeline several times. the 10th mountain division soldiers in ww2 era used the route to train to fight in the alps. 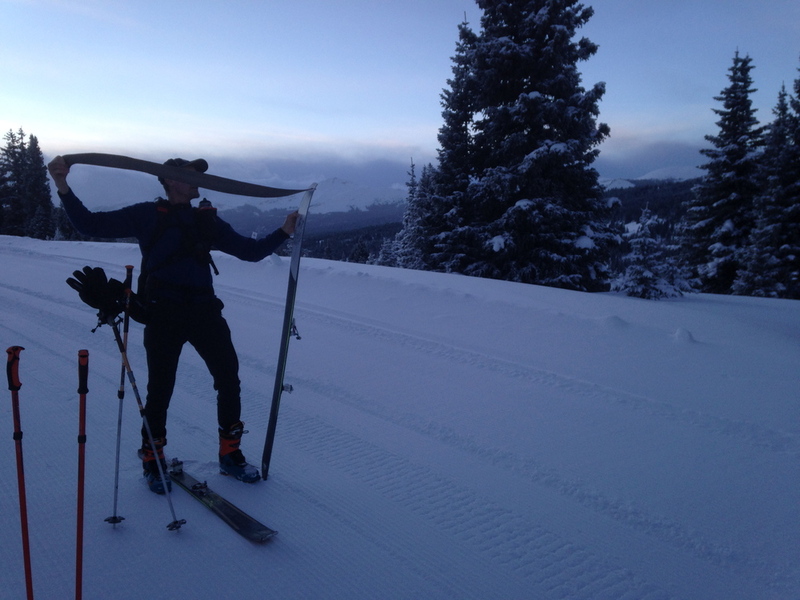 this day, my dad and I were using the route to train to race in the elk mountain grand traverse, a 40 mile ski mountaineering race taking place later in the winter. we started our morning at 7 am from vail pass, heading west on the beautiful groomed shrine pass road we made quick time to the pass. we ripped skins and carved down the groomed road, savoring the ease of travel. the trail soon split off north from the road, and the climb up to treeline began. gaining the ridge, we were rewarded with beautiful views of the gore range to the southeast, and the sawatch range to the northwest. with incredible weather and a nice skintrack set thru the deep powder, we were hooting with delight at the setup. arriving at a highpoint we knew would be a crucial point to turn north, we managed to descend into the wrong drainage. skinning back up to what we thought was the ridge designating our route, we were a bit startled to skin directly up to a ski lift in the blue sky basin of the vail resort. realizing our mistake, we investigated descending back north east to see if we could regain the correct ridge. this descent was 1000` of perfect pow, zig-zagging thru tree and wind lips. at the end of the descent, we found ourselves cliffed out with no options to descend into the correct drainage. with resignation, we put our skins back on and climbed back the descent we had just skied. we arrived back at where we had made a wrong turn and hour and a half later. a little tired, but still psyched on the amazing conditions we were enjoying, we made the correct descent thru more pow and trees to two elk pass. from there we climbed the south ridge of siberia peak, where we pulled skins for the last time and descended to into the resort. 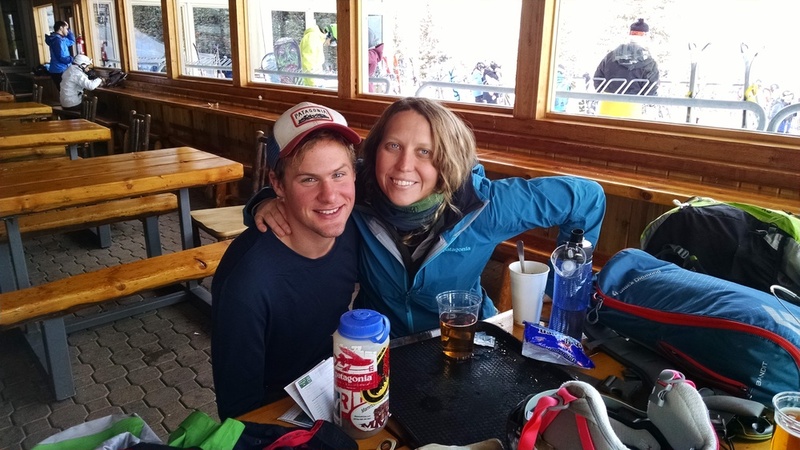 moving from the total solitude of the route, to the hustle and bustle of vail was a bit jarring, but we were totally stoked to find bnna (who was skiing at the resort all day) at two elk lodge right at the arranged meeting time. what a great route!